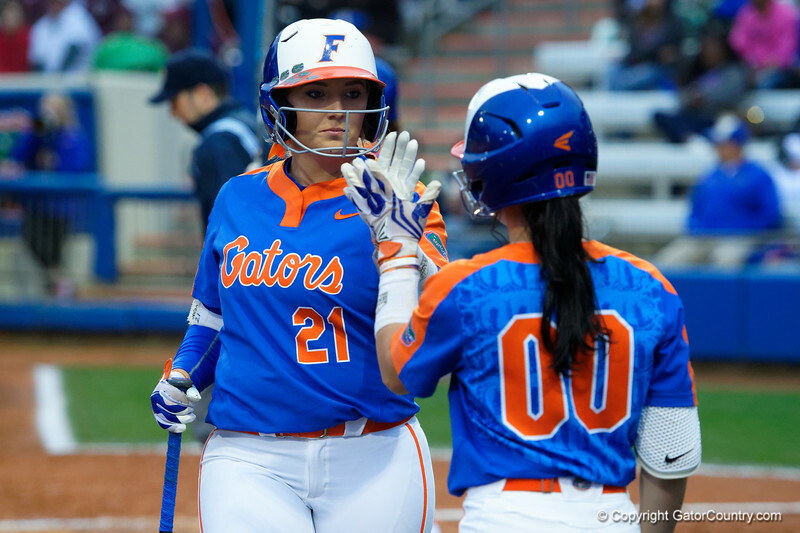 University of Florida Gators Softball first baseman Kayli Kvistad gets a high five from University of Florida Gators Softball outifelder Alex Voss after crossing home plate to put the Gators up 2-0, as the Gators defeat the #8 Texas A&M Aggies 7-3 to complete the sweep at Katie Seashole Pressly Softball Stadium in Gainesville, Florida. March 26th, 2018. Gator Country photo by David Bowie.